a divine being who sleeps on a lofted throne of the softest terrycloth, surrounded by humidifiers set up for the sole purpose of lubricating her vocal chords so she can spread the Christmas gospel via not just one but two Christmas albums; who owns at least two off-the-shoulder Mrs. Claus outfits and whose signature choice of footwear is the clear high heel adorned with feathers, a shoe that’s best classified as an angel’s slipper, and whose hair is so golden it emits a glow that approximates a halo? Hark! Did you know that if you play All I Want for Christmas Is You twelve times on repeat, a dozen lambs will spring from the womb, joyful and bleating; that if you listen to Mariah singing O Holy Night alone in a room with a single candle flickering in the dark, a family of mice will link arms and hold a vigil; that if you put on her 1994 recording of Silent Night at the stroke of midnight, a bowl of plums will crystallize into candy and a partridge will pluck a sprig of boswellia and carry it aloft to roost at the top of a tree, auguring an age of peace and tranquility? Go ye now and add a little more happiness to the world by experiencing the modern day miracle that is MC. 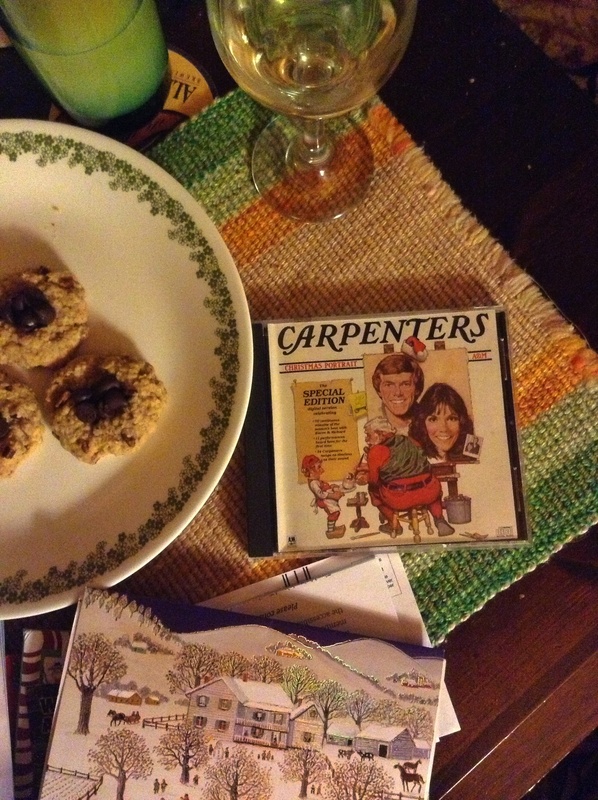 I feel a little sad when I listen to the Carpenters. For me, their album, “Christmas Portrait,” has always embodied Christmas Day. It’s as wholesome as a glass of warm milk on the mantle, but also nostalgic, a reminder that the day will soon be over. I get so delirious on punch and powdered sugar in the days leading up to Christmas that when the 25th actually arrives, I want to cling to the decorative tablecloth and holly garlands and shriek “You can’t take it away from me! 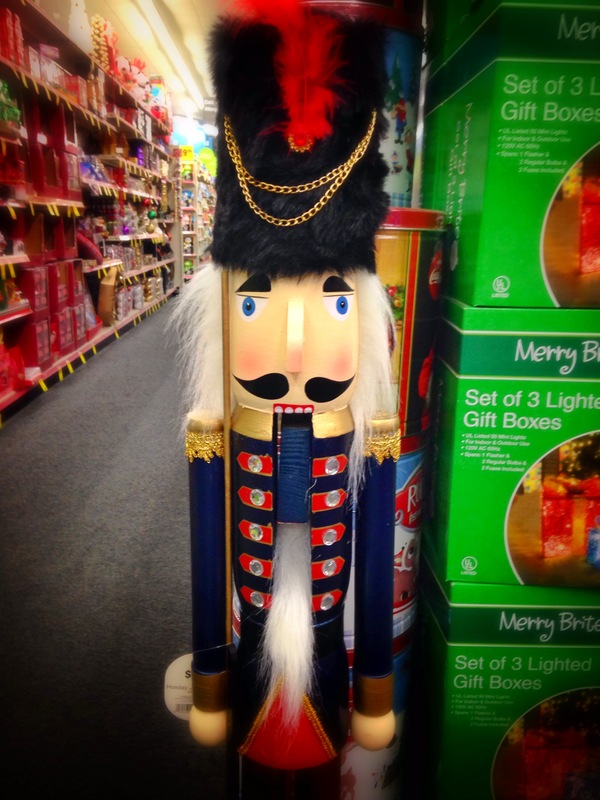 Not this year!” feel wistful and unsure of how to best soak up every last bit of the season’s joy. This year, instead of forcing your loved ones to pry the holiday spirit from your cramped white knuckles, why not sneak the last of the thumbprint cookies, curl up in front of the potbellied stove, and let Karen Carpenter’s buttery voice ease you into the new year, which, as all ChristmasFreaks know, truly starts on December 26th. Wishing you a Merry Christmas. Picture: A dive bar on Christmas eve, sparsely filled. A sad, haggard man who’s been there since 3pm starts to sing along with the music. The other patrons join in on backup. A serenade for the lonely. I’ve been testing the patience of my apparently very patient fiance, who is a NCF (Non-ChristmasFreak), by playing Stevie Wonder’s Christmas album on repeat for the past few days. The entire album is basically a musical version of stuffing as many marshmallows as possible into a mug of hot cocoa, though in my humble opinion, the best song is Silver Bells. Can you please just go listen to it right now? It’s like a puff of warmth from the speakers. I’m listening to it as I write this, and it’s taking a lot of will power not to just fill this entire post with HAPPY WARM FUZZ FUZZ FUZZ. Oh, and as an added plus, it’s one of the more “secular” Christmas songs, omitting all the Jesus/manger stuff, which makes it a lot more palatable to NCFs. Dare them not to like it!